Construction site inspections, or "sweeps," are among the most effective ways that CSLB ensures contractor compliance with California's licensing and workers' compensation (WC) insurance requirements. 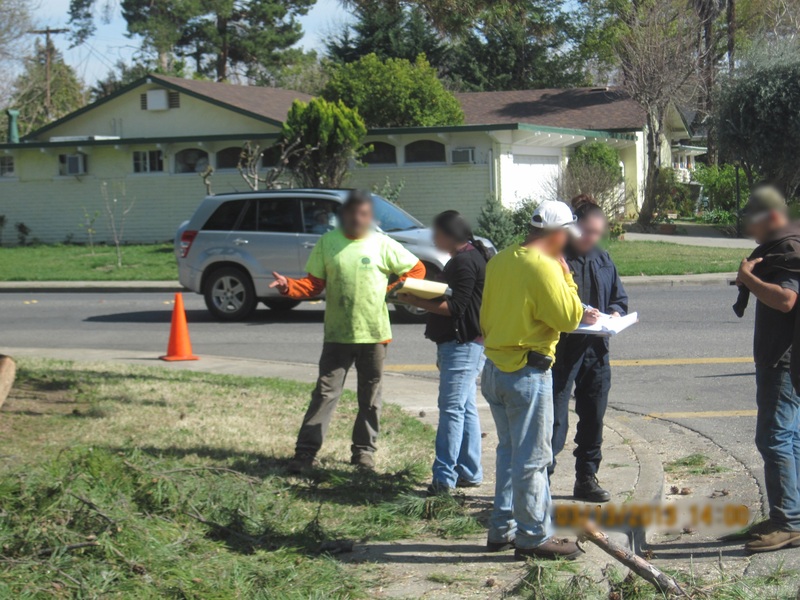 Investigators with CSLB's Statewide Investigative Fraud Teams fan out throughout year, showing up unannounced at active construction sites to check for appropriate licenses, permits, WC insurance for employees, and adherence to safety rules. In 2015, SWIFT investigators inspected 801 separate construction sites in the state. The results proved the worth of the program: 423 legal actions for various violations were filed as a result of the visits, and 464 Stop Orders were issued by investigators for WC offenses. Investigators spent a total of 148 days in the field on these CSLB-instigated sweeps, statistics from 2015 show. CSLB also is a part of a multi-agency coalition that conducts separate, targeted sweeps to check compliance with license, insurance, tax, and job safety laws. The Labor Enforcement Task Force (LETF) consists of representatives from CSLB and California's Department of Industrial Relations, Employment Development Department, Department of Insurance, Board of Equalization, and Attorney General's Office. The goal of LETF is to put a crimp in California's massive underground economy that thrives on the evasion of taxes and/or licenses and permits, and skirts rules meant to protect employees and the public. CSLB is a major contributor to the LETF effort, as shown by the results in the last year. Almost 500 contractors were subject to LETF job site inspections in 2015, and of those, nearly 400 were found to be out of compliance with state laws and regulations – a violation rate of about 80 percent. Assessed fines and penalties from those enforcement actions totaled $1.7 million. Those initial contacts also led to 124 separate investigations by CSLB. In addition, Cal/OSHA deemed 118 of the contracting violations discovered during the LETF sweeps as serious, a finding that brings even more legal repercussions if found true for those caught. For those contractors contacted on a job site by CSLB investigators, the inspection process is straightforward and conducted quickly – as long as the required paperwork is in order. Be prepared to show a contractor license, permits, and proof of WC insurance if employees are present. Also, if you are the project supervisor or prime contractor, it's important to leave contact information with a subordinate if you need to be away during working hours. All too often, CSLB investigators have rolled up to sites and found there's no one in authority to answer questions, forcing them to make a repeat trip to the location. The extra time spent tracking down the contractor takes away from the mission of uncovering illegal contracting and protecting construction crews from dangerous situations. SWIFT investigators welcome leads from the public and licensees if illegal or unsafe construction practices are suspected at a job site. Contact SWIFT to file a complaint.